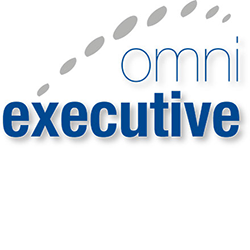 Omni Executive is an Australian management consultancy and professional services provider, specialising in innovative and cost effective solutions for customised program and project management; information and communications technology support; and niche training, security and logistic solutions primarily for Australian Government clients and select private Australian firms. Omni Executive provides both Personnel and Services to Defence in the areas of ITC, Planning and Capability Development, Research and Development, in Canberra and across Australia. Omni Executive has multiple personnel with extensive experience and qualifications in Cyber Security. It is a new and growing area of business for us in both Canberra and across Australia. Omni Executive provides design, installation, maintenance and operation of satellite equipment and bespoke satellite capabilities. We have experienced and qualified personnel in both legacy, and new and emerging systems to support the developing satellite environment. We differentiate ourselves with our flexibility; cost effectiveness and unparalleled depth of staff experience. Omni’s people hold the highest levels of security clearances, and the International Standards Organisation (ISO) has accredited Omni in quality, environment and safety management systems.